Canarian Legal Alliance likes to end its week on a success and this one will be no different. 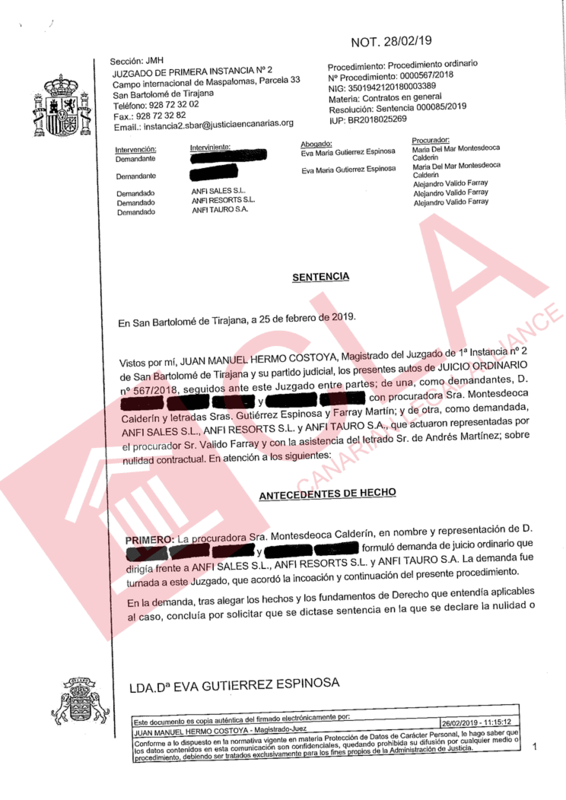 Our client’s Anfi Resorts contract has been declared null and void on the basis that it did not include an end date. Under the Spanish Timeshare Law of 42/98 any contract must be valid for no longer than 50 years and must be clearly detailed on the contract itself. Anfi Resorts will now have to refund our clients 21,837€ plus their full legal fees and legal interest. IF YOU WISH TO TERMINATE YOUR TIMESHARE CONTRACT CONTACT US NOW FOR A FREE LAWYER CONSULTATION AND REVIEW YOUR LEGAL OPTIONS.